This is for one ornament. 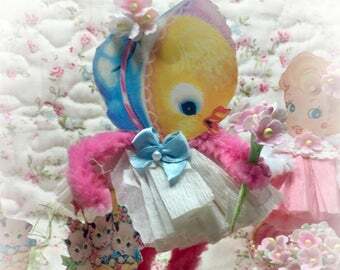 I have created a vintage style Easter tin white basket, with pink marabou feather, vintage forget me not flowers, and a vintage felt baby chick. You have a choice of the basket with the purple or green egg. Choose upon checkout. 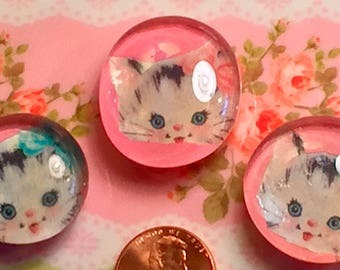 So sweet for Easter table decor. Hang from an Easter tree, or anywhere you want a little Easter shabby chic charm. Truly will bring a smile to everyone's face! Measurements: 3.5" inches from top of handle to bottom of tin. Taller with the egg. 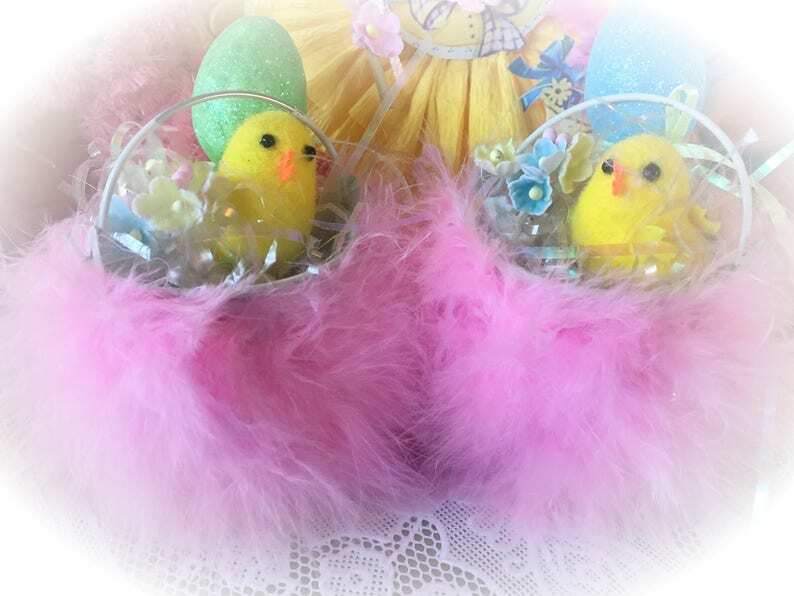 Color: White tin bucket/basket, pink marabou, yellow chick and green or blue egg. (Choose on checking out).